CHINA – Zheng Yichun, a renowned internet writer, and the first Dr. Rainer Hildebrandt Berlin Wall museum international human rights prize winner, was sentenced to seven years in the Yingkou Prison in China. He was charged with the crime of “Subverting the State.” On January 10, he was sent to Yingkou’s Xinsheng Farm Prison where he will serve the seven-year prison term. At the end of last year, China’s Liaoning Provincial Supreme Court struck down Zheng’s appeal, and moved “to maintain the original sentence.” After the court sentenced Zheng, the Yingkou prison allowed his family to visit him for the first time since his arrest. Zheng saw his brother for the first time after a year’s separation. According to witnesses, emotion ran high, and the families exchanged words, with kindness and concern pouring out for Zheng. From the conversation, Zheng’s family was notified that Zheng had been beaten in the Panjing prison by fellow prisoners, watched by criminals, and forced to do manual labor. At the time, Zheng was scheduled to be transferred to the Xinsheng Prison; according to witnesses, the family was very worried that he might suffer physical and spiritual harm all over again. 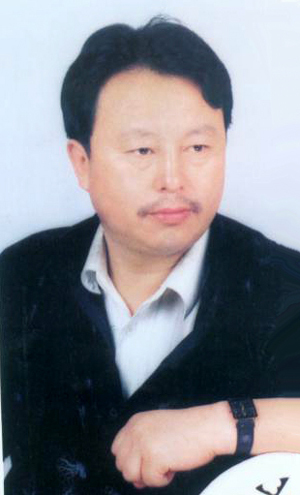 His family disclosed that Zheng endured hardship whenever he was transferred to a new detention area. They stated that they were concerned that Zheng might meet a new round of brutal persecution, and because of this, were very worried. Zheng’s family said that this visit to the Yingkou prison was apparently different from visits his family had with Zheng in other prisons before. His expression was no longer relaxed and humorous and he did not have the same energy as on previous visits. Instead, Zheng was serious. They believe Zheng did not reveal the true condition of the prison. This was likely out of consideration for them, as conditions are generally very poor. The family said Zheng probably wished to spare his family, and prevent his family’s anxiety or uneasiness. Zheng’s family indicated that, even just from a humanitarian viewpoint, the government should release him because he is very weak and has been tormented by serious diabetes. The bad prison environment and brutal persecution against Zheng all pose serious threats to Zheng’s health. The family appealed once more to the international society and from people from all walks of life for justice, and their assistance in rescuing Zheng.